Butterbeer and healthy in the same sentence?! It’s true! I love butterbeer flavored anything, but it’s hard to find a good healthy butterbeer recipe out there. I’m a running and fitness addict (and devout member of the Hogwarts Running Club) and I am so excited to share my latest concoction with you… butterbeer oat balls! I would give these oat balls a solid 8/10 on the health scale. Before you add the butterscotch chips, there is no added sugar or flour. These babies are made with oatmeal and ground flaxseed! This recipe is super easy. Really, all you do is combine your dry ingredients (ground flaxseed and oatmeal) into a large bowl and your wet ingredients (almond butter, honey, butter extract, and rum extract) into a medium sized bowl. Mix both bowls individually and then combine the two in a larger bowl. Add in your butterscotch chips and refrigerate the mixture for one hour. After refrigerating, roll the mixture into 1 inch balls and store in an airtight container! Know of any other healthy Harry Potter recipes? Drop them in the comments- I’d love to see them! 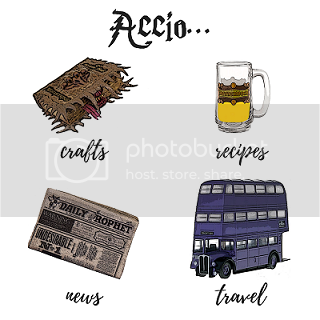 If you want other Harry Potter recipes and crafts sent to your inbox, don’t forget to drop your email in the box below! Have a magical week!